“Thank you so much for today the children absolutely loved it; I’ve never seen my class so enthused about English! All the teachers have fed back to me this evening and agreed with how brilliant it was.” St Michael’s Primary, Winterbourne, September 2016. “You were brilliant today and the kids were so engaged. We all came back and wrote our own stories inspired by yours…” Summerhill Academy, October 2013. 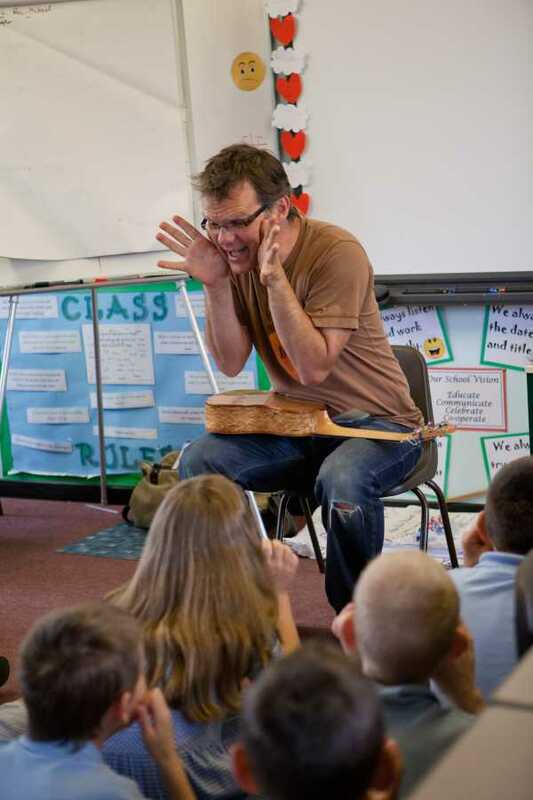 Martin has worked professionally as a storyteller in schools since 2002, stimulating children’s imaginations, creativity and vocabulary through dynamic re-tellings of traditional stories. He uses rhythm and repetition, movement and music, as well as audience interaction to bring the stories to life. Martin’s repertoire of stories consists of legends, myths and folktales from around the world, with an emphasis on stories from the British Isles. He often intersperses stories with traditional and original songs, accompanied by ukulele. Martin’s storytelling performances are specifically tailored for each school, group and setting. 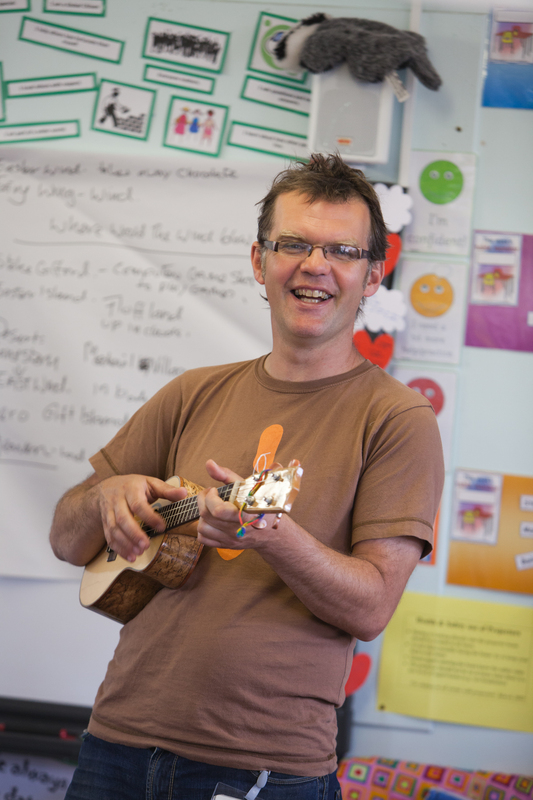 He can deliver sessions from whole school assemblies to individual classes, and from nursery through to secondary school. Content can be matched to the school’s own topics or he has a number of storytelling themes that group stories together allow exploration of related ideas. Creative Workshops are also offered to complement the storytelling performances, and storytelling walks can be delivered within local outdoor spaces. Typical costs for storytelling in schools are £275 per day or £160 per half day, plus travel expenses. Please get in touch to discuss availability and content of storytelling sessions. 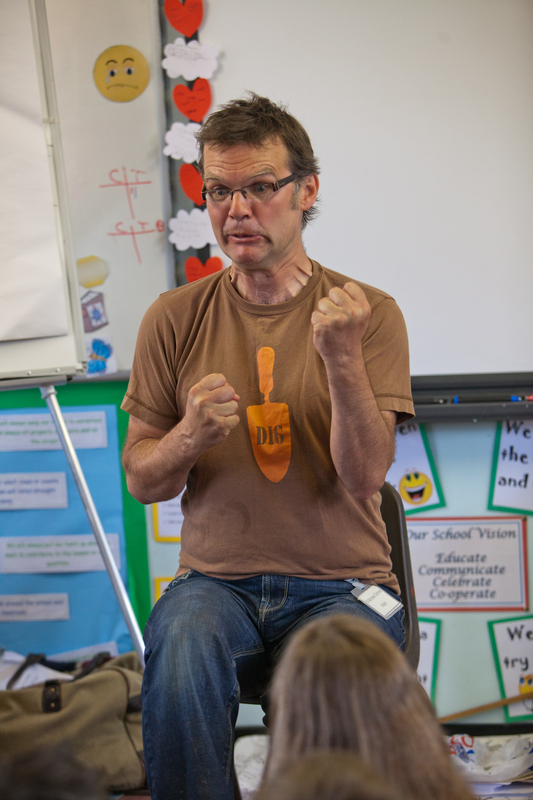 “Working with storyteller Martin Maudsley has been such an inspiring experience for the children in my class. They have learned to use rich language, imagination and description.” Yr 5/6 Teacher, Steam Mills School, Gloucestershire. “ALL the children, from Reception to Year 6, thoroughly enjoyed listening to and participating in the storytelling. Your sessions were great fun and watching the faces of the children as your stories unfolded was truly delightful. My own children go to the school and were full of enthusiasm when they came home that evening.” Year 2 teacher, Enmore School, Somerset. “A vibrant and powerful oral-storytelling performance. The children’s imaginations were really bubbling by the end.” Yr 1 teacher, Hotwells Primary School, Bristol.